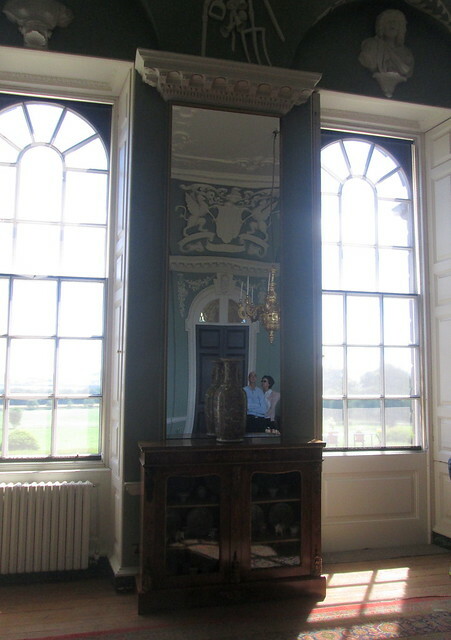 The large circular window is the drawing room, where the very ornate ceiling in my last post is located. 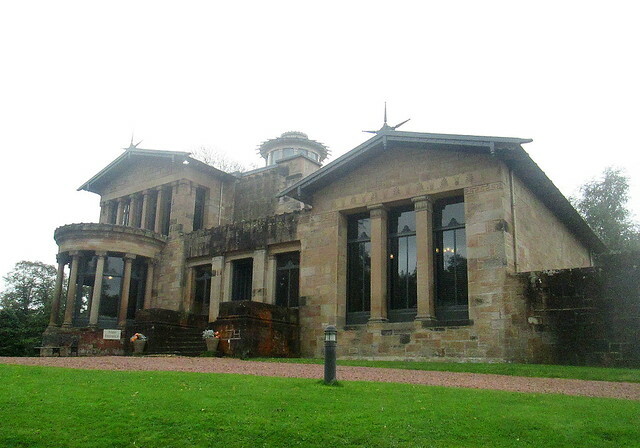 Holmwood House was designed by Alexander ‘Greek’ Thomson. He was heavily influenced by Greek architecture hence his name. Sadly there aren’t that many of his buildings still standing, over the years lots have been demolished for various reasons including neglect to the point of them nearly falling down. 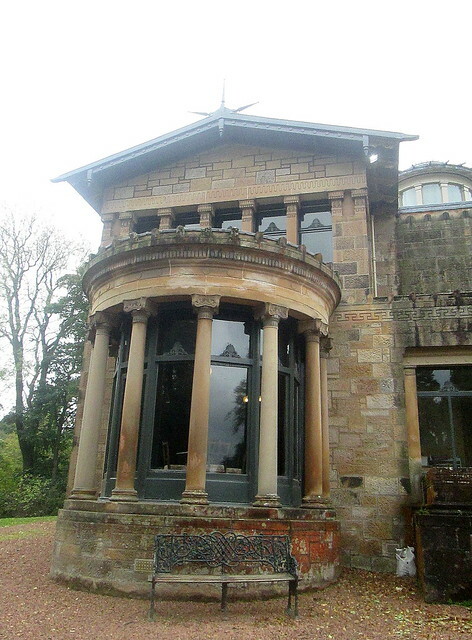 Holmwood must have been a fairly comfortable family home in its day, it only has four bedrooms so despite its grand appearance it should have been fairly easy to deal with from a housekeeping point of view. Presumably they had a butler though as there is a butler’s pantry. 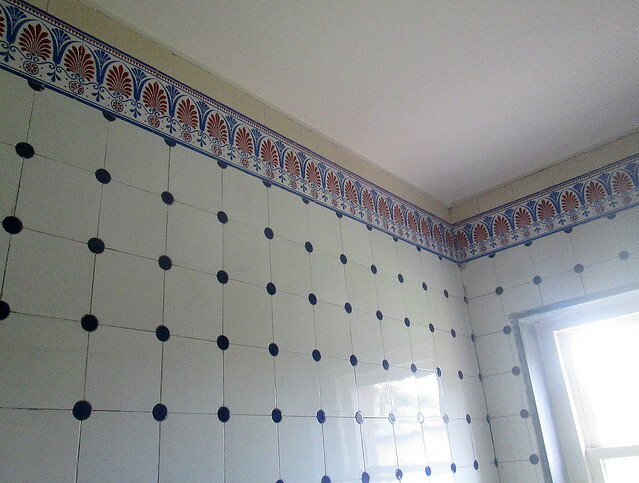 At some point there was a fire in this room so the wall tiles aren’t original but they look like they must have been put up around the 1930s to me, I really like the design, it’s very fresh looking, almost art deco although the top border is pure Victorian, acanthus leaves. The gates also have an acanthus leaves design on them, as well as that sort of pared down Greek key design which also features on the stonework of the house. 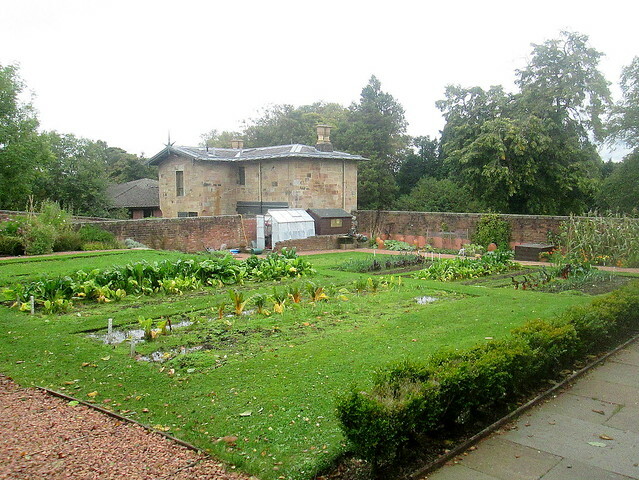 The photos below are of the vegetable garden, with the coach house in the background. 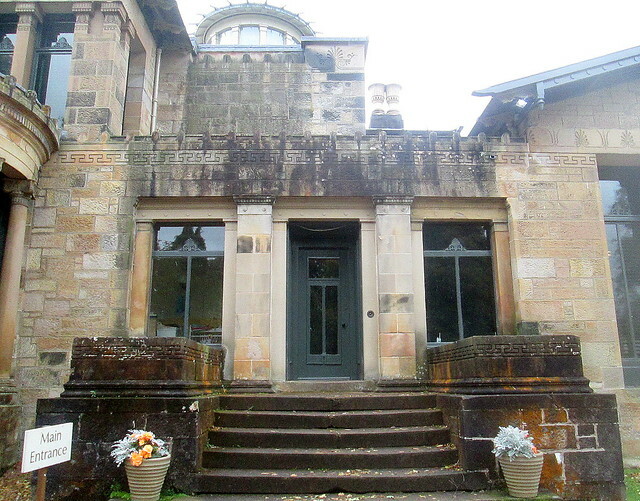 It has some of the same architectural details of the main house. You might be able to see that there are puddles in the garden, that’s how bad our summer was! 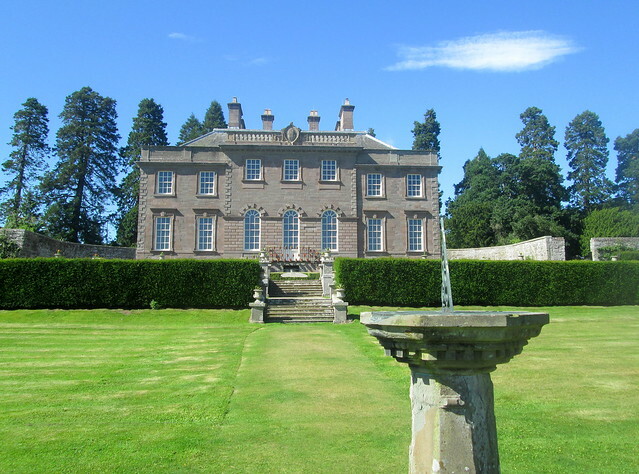 It’s a few weeks now since we visited the House of Dun near Montrose, you can see the post that I did about the exterior of the building here. 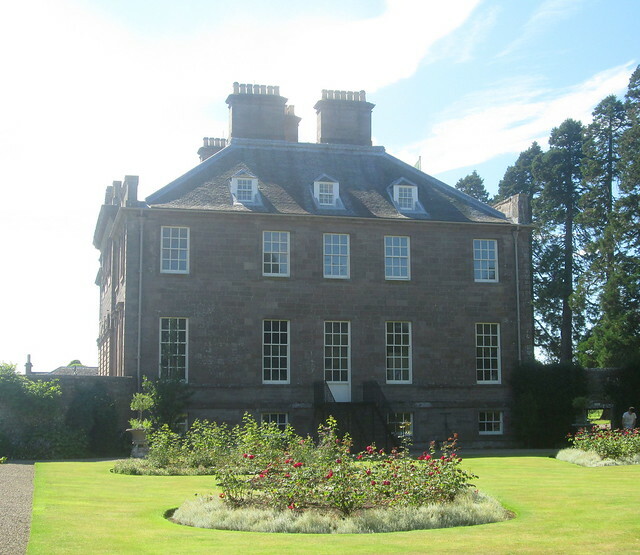 It was built in 1730 for the laird David Erskine. This is a house that you can only go around as part of a guided tour, but they seem to be fairly frequent so we didn’t have to wait all that long to be shown around. It’s a shame that one of the owners married a woman who liked to tinker with the internal plan of the house. 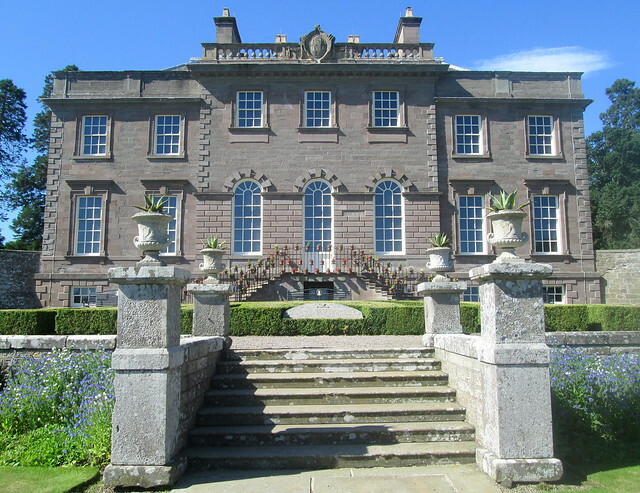 It was of course designed by William Adam who was a fanatic about having everything symmetrical, even creating dummy doors to match actual doors at opposite ends of walls. 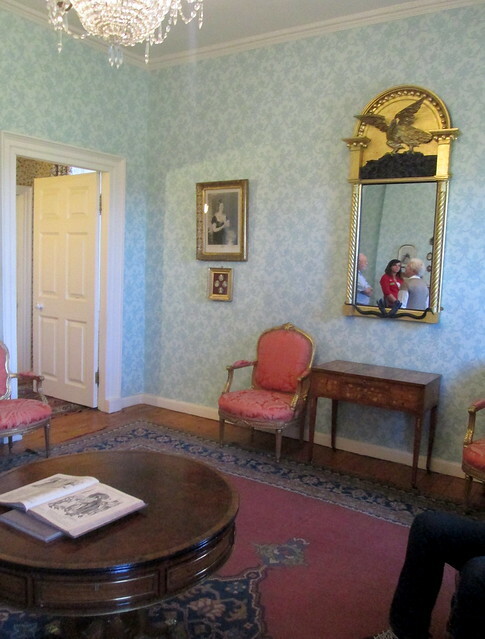 A previous occupant has ruined a lot of the proportions by having walls removed and such, especially in the hall. I keep saying this but it’s true – although it’s a very grand house, it still has the feeling of a family home. It must be all the personal nick-nacks that decorate the place that help. It was impossible to get a photo of the huge looking glass without getting people in it! 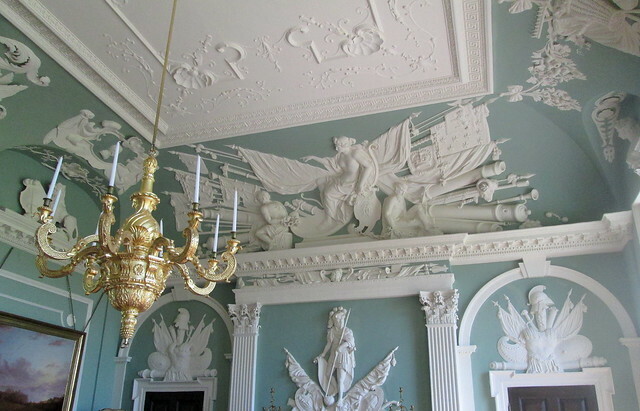 The cornicings/plaster wall and ceiling decorations are incredibly ornate as you can see. 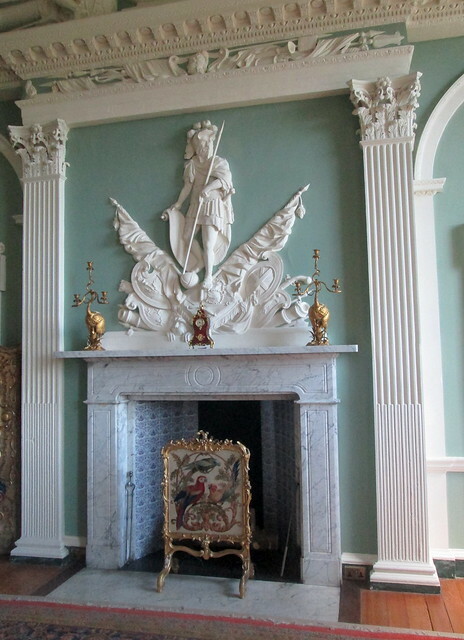 Apparently the overmantel decoration is of a soldier standing with one foot crushing the crown of England. Not terribly subtle, apparently the house was owned by Jacobites who enjoyed this sort of visual support for the Jacobite cause and they got away with it, at a time when they could easily have been executed for such sympathies! 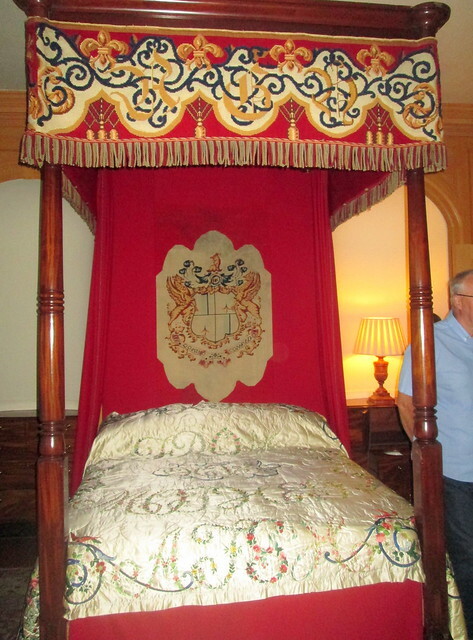 The embroidered quilt on this four-poster bed is fantastic. It was apparently found in a tin trunk in the attics fairly recently. It was a wedding gift embroidered by the mother of the then laird and it has his and his mother’s name sewn all over it, and the fact that it was a gift from her for his wedding. It’s suspected that his bride didn’t want to have her mother-in-law at such close quarters, even if only in the shape of embroidery and I have to say I don’t really blame her. 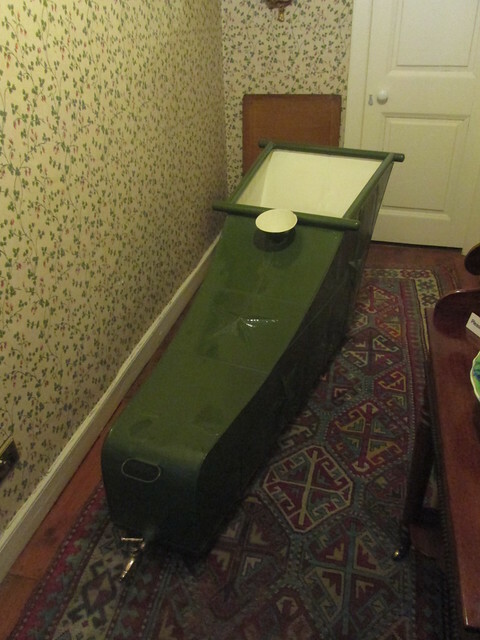 Lastly, just about the most bizarre object at the House of Dun is the ‘boot’ bath below, so named because it resembles the shape of a boot. I can’t make up my mind whether it was enclosed like that to keep out draughts or just to make it a more private experience for the bather. I don’t think it would have made washing your legs and feet very easy though! 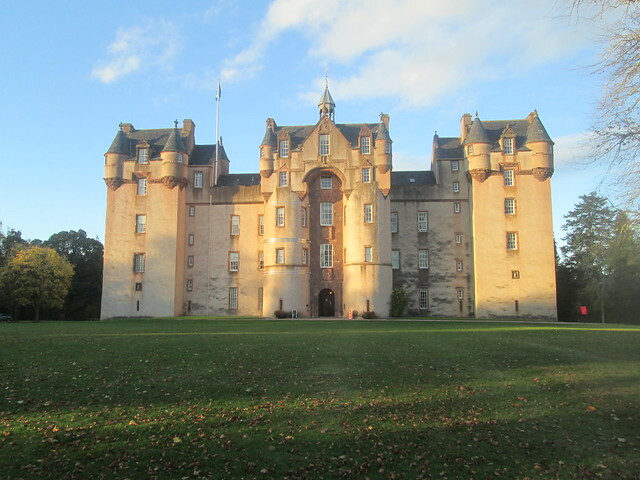 One beautiful day a couple of weeks ago we decided to grab the good weather and drive up to the House of Dun close to Montrose. 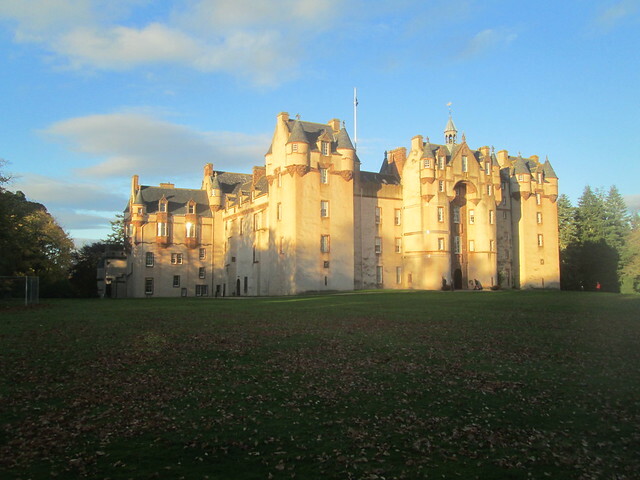 It’s a Scottish National Trust property that we had never visited before. It’s just over 50 miles away from us. Below are some photographs of the outside from various angles. 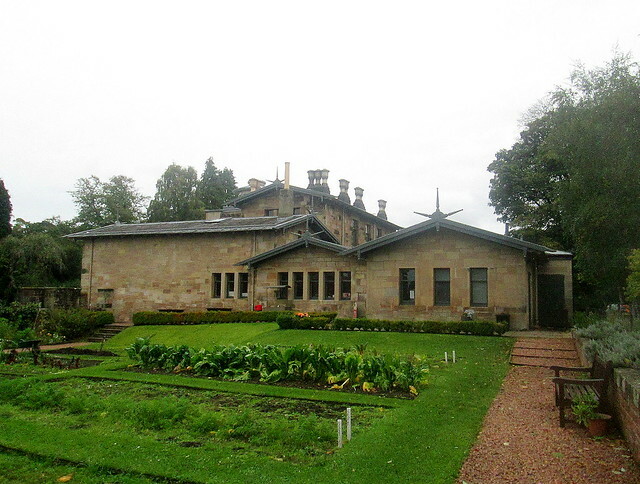 The house was originally owned by the Erskine family. 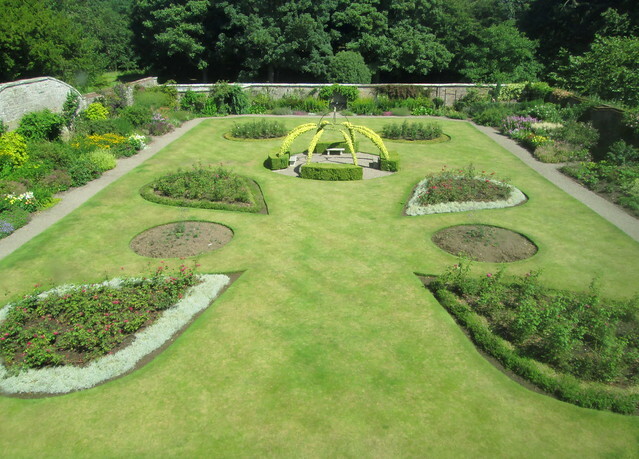 The gardens are meticullously maintained, I hate to think how many hours it all must take. 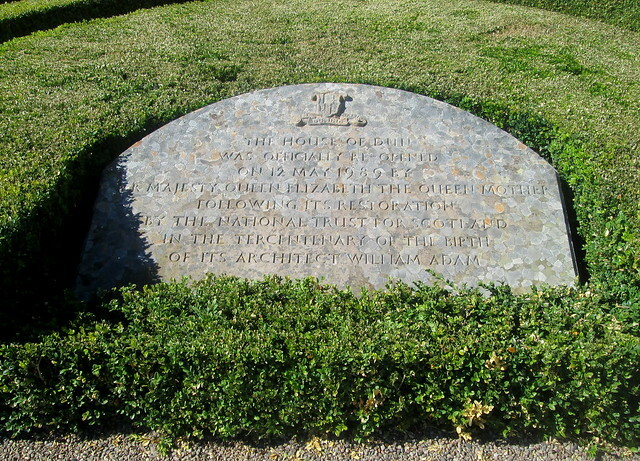 As you can see from the plaque below, it was laid by the Queen Mother to commemorate the 300th anniversary of the birth of the house’s architect William Adam. 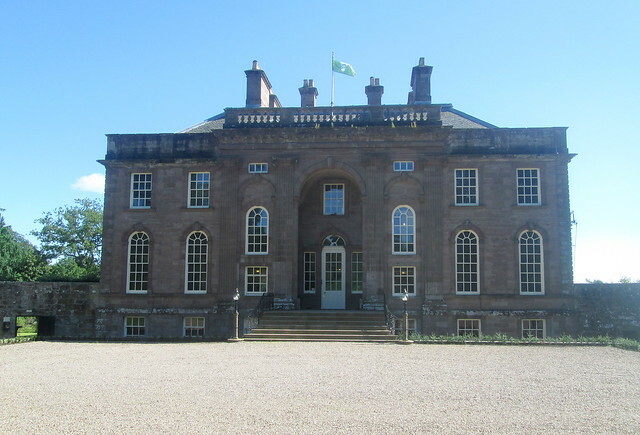 He was the father of three famous architects, the most famous being Robert Adam. 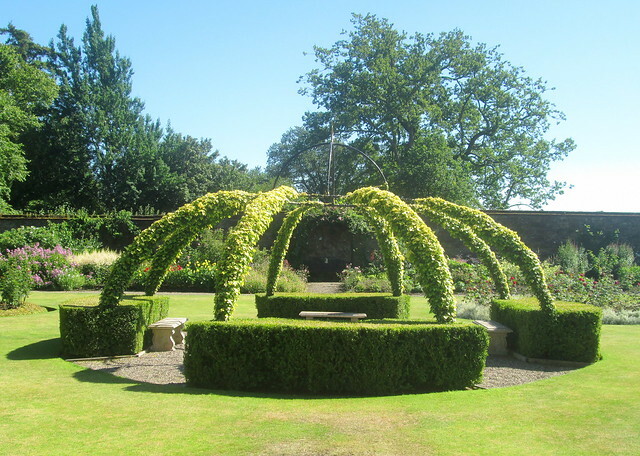 The pergola below looks lovely now but it will look even better when the plants have covered all of the metal support. It is of course in the shape of a crown. 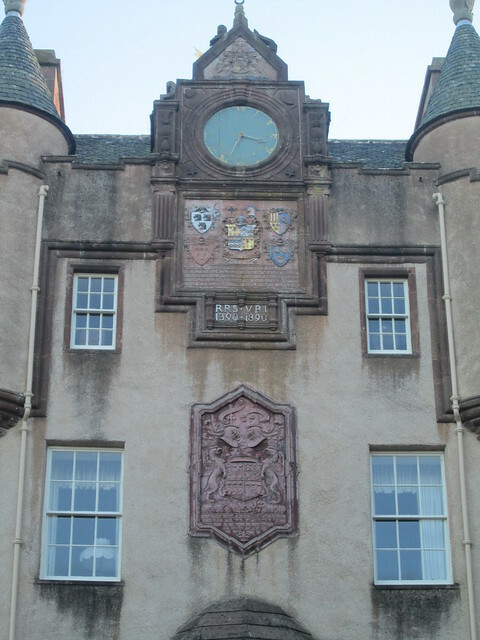 The owners of the House of Dun were closet Jacobites and there are various not very well hidden decorations in the house featuring the Scottish crown. 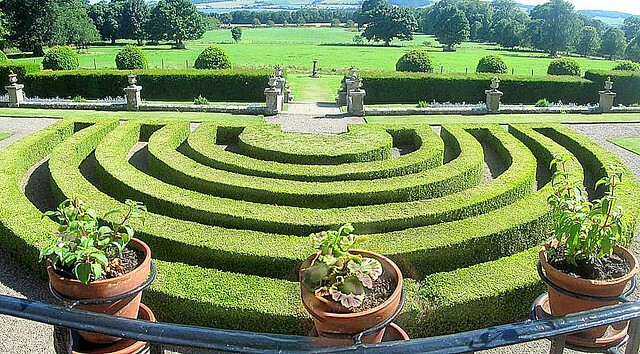 The photo below of the box hedging was taken from the top of the house steps, the back door really. The setting is fantastic with beautiful views from the house. You can actually rent holiday cottages and I think apartments in the actual house. It would be great – if the weather behaved itself. Crucially there is a good tea room! Hurrah! 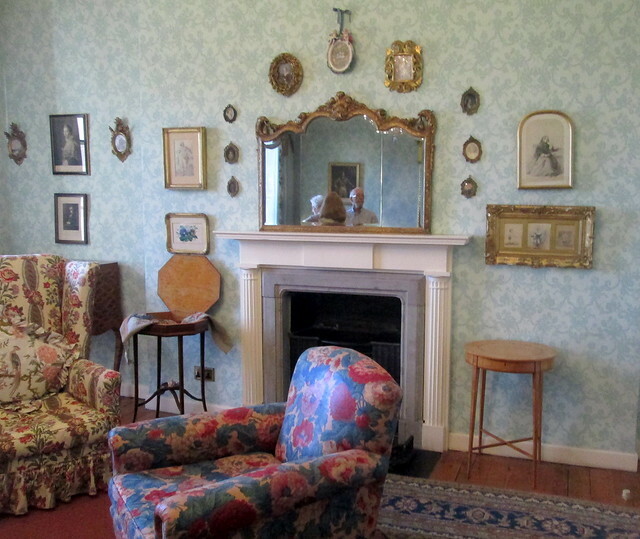 the National Trust now allow people to take photographs of the inside of their properties, but I’ll keep those ones for the next blogpost. 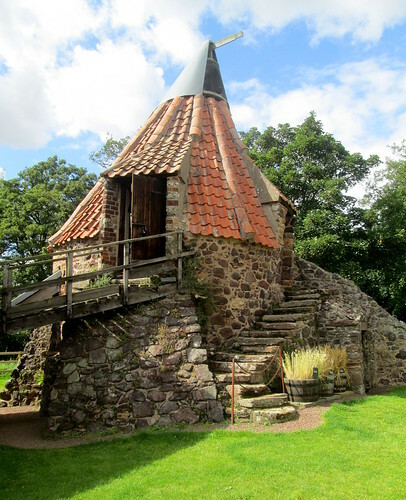 The week before we went to the Netherlands we visited Preston Mill and Phantassie Doocot in East Lothian. 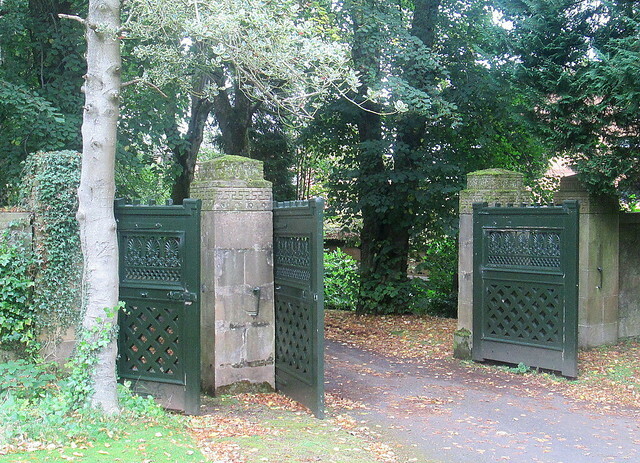 They are Scottish National Trust properties. The mill is a really interesting place to look around, in fact I hadn’t expected to enjoy it so much. 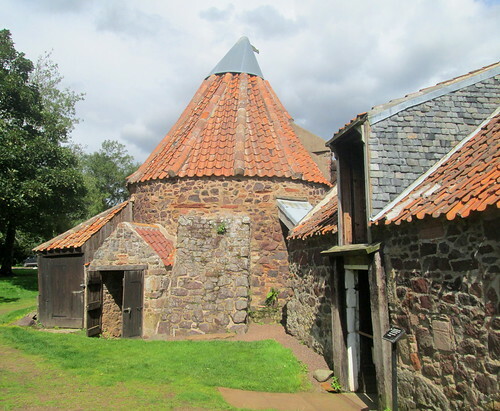 The doocot is still in use as a dovecot and you can’t see inside it but we walked along to it from the mill, it was a gorgeous day for a stroll and there’s a nice river to look at. Apparently there are kingfishers there but we didn’t see any. 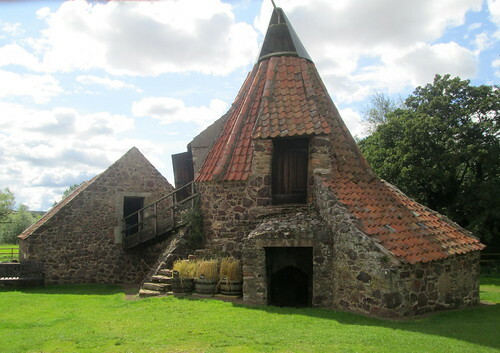 The drying area of the mill is especially quirky, as you can see it resembles a witch’s hat, it looks as if it should be part of a film set, the house of a hobbit or something. You can read more about it here. 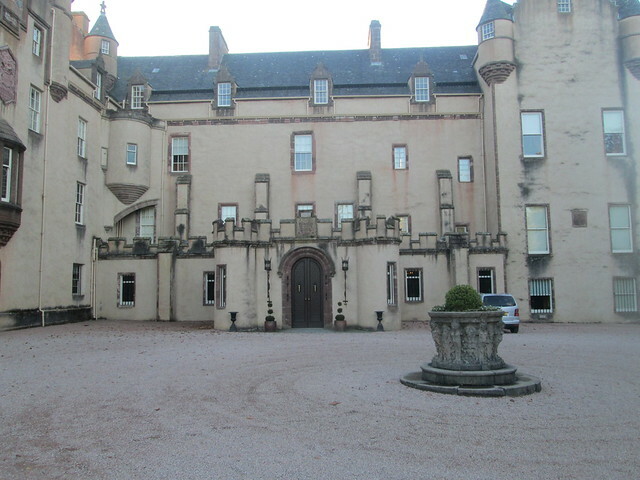 In fact the guide told us that the place has been the location for some filming of Outlander, but I’ve never seen it. 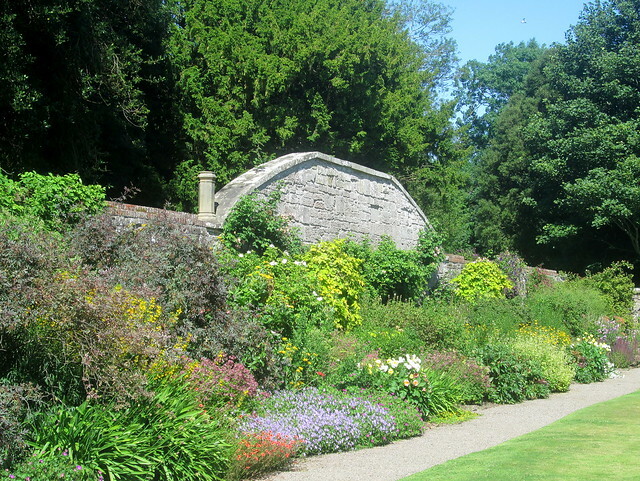 Culross in Fife is also used as a location. 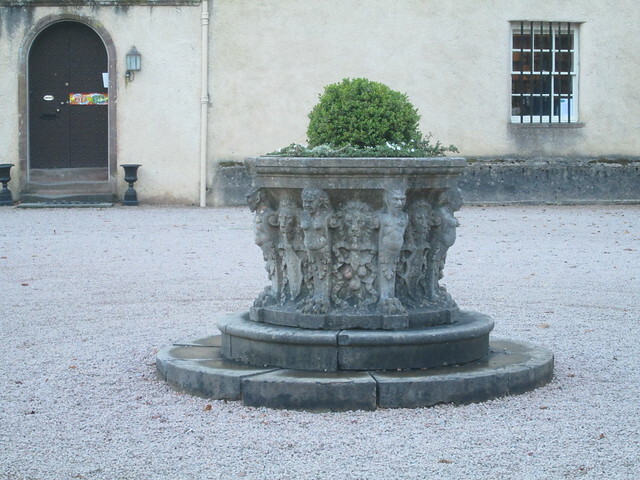 I’m going to have to start watching Outlander so that I can spot the locations. 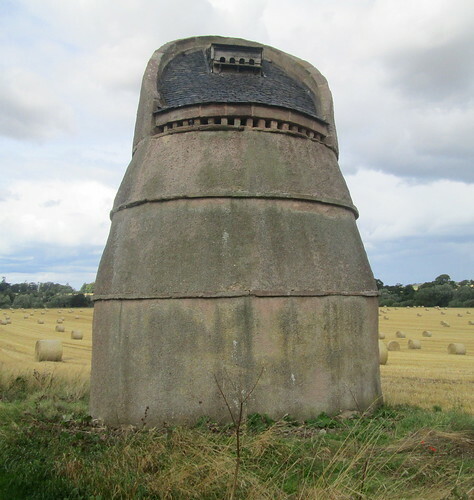 Below is the doocot, the strangest one I’ve ever seen. Although there is no flour milled nowadays they are running all the machinery so that you can see exactly how it all worked. I had no idea that mills were so complicated, the whole thing is very Heath Robinson-ish but it works. 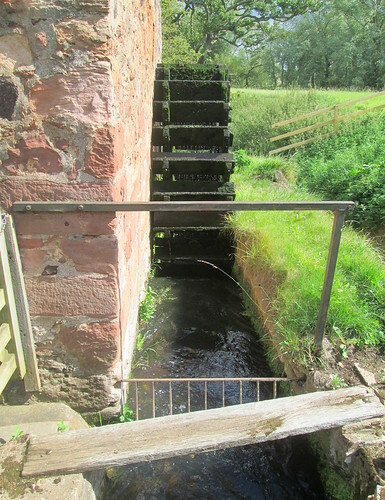 The mill has a long history of being flooded and it was only after it was flooded badly in 1959 that the miller called it a day and decided to pass the mill on to the Scottish National Trust. Below is the water wheel which runs all the machinery. If you go to visit you should make time to take the walk around the nearby fields. 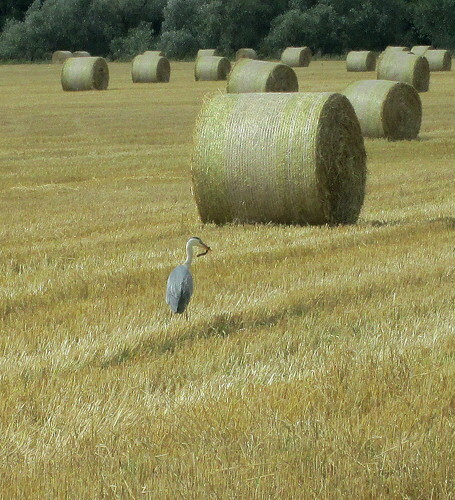 We were lucky enough to see a heron flying off the river right in front of us, he flew into the adjacent field to eat the fish which he had just caught. 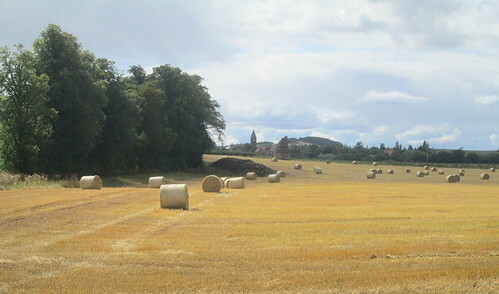 I took the last photo looking back towards the doocot. It all seems so long ago but it was only just over a month ago that we visited these places, it’s just that we’ve done so much in between then and now, and I have such a huge backlog of blogposts. This is a lovely part of East Lothian, although nothing as scenic as the west of course!